Efter krysset i premiären är det i helgen dags för Liverpool att kliva in på Anfield för första gången den här säsongen. 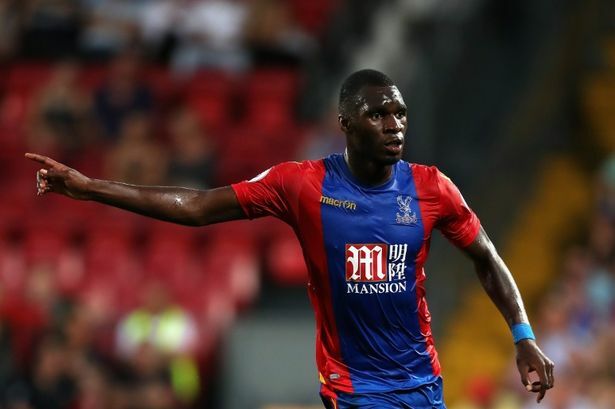 Motståndet är långt ifrån något favoritmotstånd, jag tror vi alla minns hemmamötet med Crystal Palace förra säsongen, när vi kämpade för CL-platserna och fick se Benteke sänka oss. Det är ett lite annorlunda Palace som kommer till Merseyside på lördag, efter tränare som Pulis, Pardew och Allardyce har man nu plockat in Frank De Boer och denne fick en ganska jobbig start på sin PL-karriär, 0-3 hemma mot nykomlingen Huddersfield. Som vanligt när det kommer till Crystal Palace vänder vi på Totaal Liverpool oss till The Eagles Beak(@theeaglesbeak) och det är deras skribent Dan Crame(@d_crame) som här berättar om läget i laget. 1. It´s been a few months since last season ended, what are your feelings looking back on it? Looking back, the season was poor from Palace’s perspective with Alan Pardew’s terrible run at the start leading to him receiving his P45 earlier than we ever thought he would. Sam Allardyce took over and we were extremely lucky he did otherwise we would be in the championship right now. It was an up and down season with many twists and turns including the 4-0 loss to bottom side Sunderland, 5-4 loss away at Swansea, 3-0 win against Arsenal at Selhurst and a 2-1 win away at dominating Chelsea who later went on to win the Premier League. My best and worst moments as a Palace fan live in the 2016/17 season so for me and many other Palace fans, it was a very emotional rollercoaster. 2. You have a new manager this season, what are your thoughts on De Boer? Will we see a different Palace this season? Frank de Boer is a real coup for Palace. He won four Eredivisie titles with Ajax during his six year reign along with experience at Italian giants Inter Milan and the Dutch national team. It’s an exciting and interesting time at Palace due to de Boer’s appointment. He likes to play a possession based game with a lot of passing and working the ball from the back line which is something we haven’t seen at the top level. Once de Boer’s philosophy has set in with the players and the club, I do believe we’ll see a different Palace but it will take time for Frank to mould in his approach. 3. There is still two weeks left of the transfer window, are you satisfied with the job you´ve done so far? 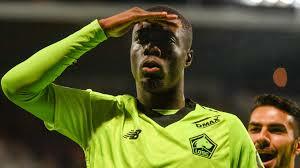 Do you think we will see more players coming in at Palace? Palace and de Boer have completed two great deals so far this window with the signings of Jairo Ridewald from Ajax for around £7.5 million, Ruben Loftus-Cheek on loan from Chelsea and Timothy Fosu-Mensah on loan from Manchester United. However, we have also released a handful of squad players and it’s worrying that those vacancies are likely to be left unfilled. Everyone knows that squad depth is imperative to success in the Premier League unless players can go a whole season without injury. For a team like us, it’s even more important so I would like to see a few new faces before the transfer window closes. A new number one goalkeeper, right back or right wing-back depending on the formation de Boer prefers and a striker would be ideal to get where we want to be this season. 4. Your first game ended in a home loss against Huddersfield, what went wrong? No team wants to face newly promoted sides in their first game of the season due to their hunger and determination to get off to a good start. This was the case at Palace. Huddersfield did their homework and identified our weak points in Joel Ward and Wayne Hennessey and made sure they were exploited a number of times. They also marked Wilfried Zaha very closely and kept him out of the game. From Palace’s perspective, we need a plan B when Zaha is marked like he was as we looked slightly out of ideas. I feel the result also came down to de Boer’s new approach to playing style in a competitive match as Palace players have not had the chance to really perform his philosophy on the big stage. Starting three new signings in our first game of the season may have also played a part in the loss but nevertheless, it’s obvious that de Boer will be working hard to bounce back quickly. 5. What are your expectations of the team this season, will it be a good season for Crystal Palace? After last season, a mid table finish would be a fair expectation to have for the 2017/18 campaign for Palace and personally I would be content if that is the case. However, we do have a players to finish in the top ten. If de Boer can get his philosophy across and get our players playing his football it could be a possibility. This said, we also have a lack of squad depth which could prove costly as the season goes on. Palace are a club in transition and have been for a few seasons now so if de Boer can stabilise us and ensure we can cement our Premier League status like Stoke and West Brom, his appointment would be a success. 6. What are your thoughts on Liverpool this season, where do you think we will end and why? Liverpool are one of the more interesting sides in the top six and I always find them hard to predict. I love Jürgen Klopp for his personality and achievements at Borussia Dortmund but feel he has not really lived up to all his hype at Anfield. Scoring goals are not the issue at Liverpool, it’s the defence and I’m sure that’s known to the majority of people including Klopp. If he can get a centre back, left back and goalkeeper in before the window shuts, I can see Liverpool challenging for the Champions League. I would be surprised if Liverpool did not get Europe this campaign. To win the league, I think Liverpool still need a main man up front. Someone like Suarez who will bag 20 goals a season along with your defence tightened up by singing a couple of world class defenders. Palace är starkare nu än någonsin vill jag tro. De Boer är en kompetent och smart man/tränare, erfarenhet och detaljsäker, det kommer INTE bli enkelt att ta 3 poäng emot Palace denna säsong oavsett vilka de möter. Vårat spel såg bra ut under försäsongen, sen har det dalat, en TURSAM vinst emot Hoff (Mings straffräddning var en matchvändare) stärker självförtroendet men frågan är om det är tillräckligt. Tjatet om att Kottens beteende är bara trams, det är professionella människor som inte spelar för individen utan kollektivet, de går ut och gör sitt jobb oavsett. Hoppas på vinst, lutar åt kryss, dock har de BRA huvudspelare och på våra fasta EMOT oss är vi körda, tyvärr.